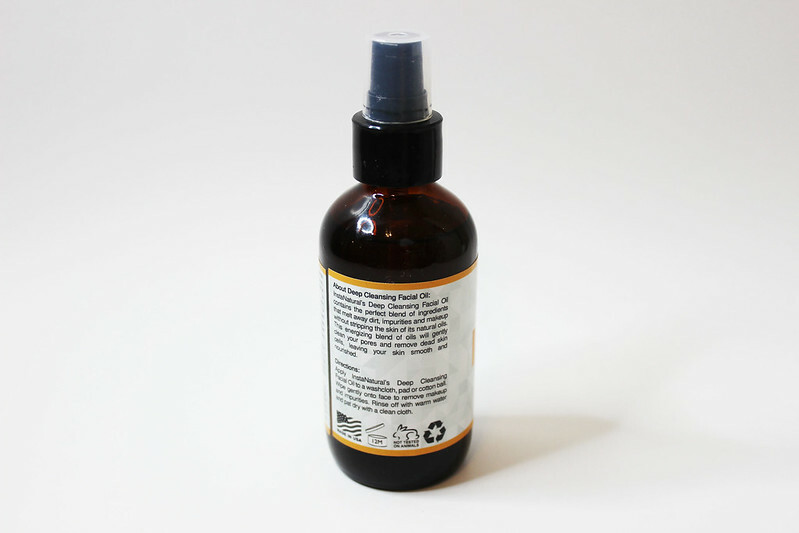 This is the first cleansing oil from InstaNatural that I've ever used, and reviewed. First off, I want to say this oil smells amazing. It has a floral scent to it, but it's not like sickly sweet. One of the ingredients in this oil is lavender oil, which is what I assume makes this oil smell so good. There are other ingredients that make this oil smell good, including pink grapefruit and passionflower. I did test this oil out with regular eyeliner, and this oil removed all of the liner. I did try this with waterproof eyeliner, and it doesn't remove it as cleanly as with the regular eyeliner. I don't often wear waterproof eyeliner, but if you do, I would tell you to use something else. This oil feels thick when applied to the face, and I usually will remove my makeup, and then clean my face with my regular cleanser. Would you try out a cleansing oil?